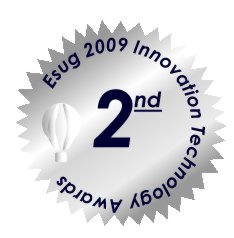 2009-10-04: PhidgetLab is proud to announce that we were awarded with the 2nd price of the esug's Innovation Technology Arards . 2009-09-27: The spanish Linux Magazine wrote about phidgetLab. The article is available here. 2009-08-25: A new version of our software is available now! Download the new phidgetPlugin and install the current sar-files. With this update we support more Phidgets (especially for Etoys - Give the TextLCD a try!). If you encounter any bugs or have any suggestions (or just want to say hello), please let us know. Have you ever thought about what happens if your Squeak world objects become real world objects? When teaching children about OOP in Squeak they have to imagine objects rather than seeing them in reality. Phidgets, which are "plug and play" sensors and accessors, are real world objects, which can be controlled via USB. It would be great if they were accessible from the Squeak environment. With PhidgetLab it is possible to access several (*) Phidgets from your Squeak image. Using the Core package of PhidgetLab, you have full control over attached Phidgets and are able to write applications using these USB devices. Most Phidget types are already avaliable for the easy-to-use Etoys environment. We expect servo motors to be used quite often when experimenting with Phidgets. They offer the user the chance to see what was coded in the Squeak world earlier. To get a servo running from Squeak open the objects menu and choose the category Phidgets. Then drag a Servo 1-Motor into your world. Open an Etoys view of the new Servo Morph and select the category Phidget in the recently opened Etoys pane. Now you see several options you may or may not change. For example the motor's Position may be changed within the interval [MinPosition, MaxPosition]. That way PhidgetLab offers a fast and direct way to access a servo motor from Squeak. We made use of this ability and build a little example: a Marble Maze. The Marble Maze is an easy-to-implement but nevertheless illustrative example for PhidgetLab. The goal of this game is to navigate a ball trough a maze with walls and holes. 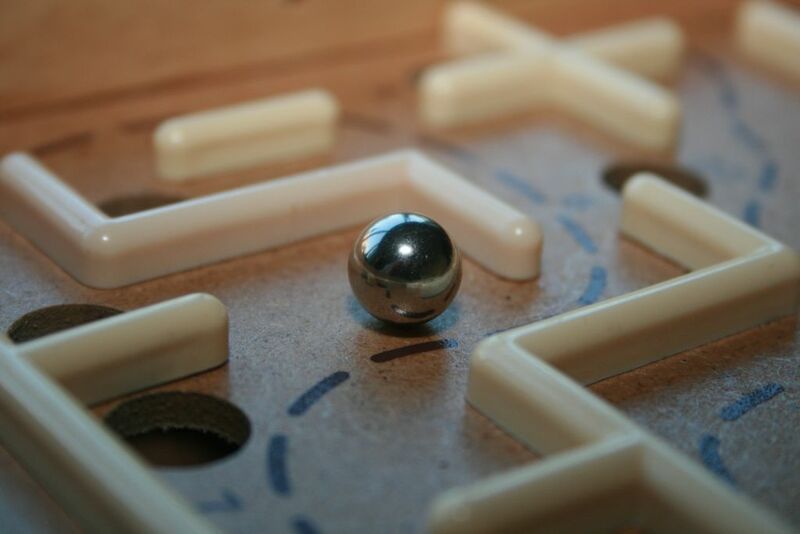 The ball can be controlled by tilting the maze using two axes. We use two servo motors to control the axes. To control the servos themselves we can use any analog sensor like a joystick, sliders, or an accelerometer. A two-line Etoys script assigns the sensors' values to the servo-positions. That way the user can navigate the ball through the maze. See our Demo Video to see the Marble Maze in action. Install the Phidget21 library from phidgets.com. To start using Phidget with Etoys open the objects menu, drag some Phidgets out and explore. You may also watch our demo video. If you want to stay in touch with the latest development, load our packages from our Montichello repository. Note that things might be broken there. This Software is licensed under the MIT license. Please read the license.pdf for details. Leave us a message at our google group or become a member of the phidgetLab mailinglist if you encounter any bugs or want to see new features and phidgets in phidgetLab.